Want to Compete Against Robot Lawyers? Focus on Being Human. Artificial intelligence and automated legal services aren't anywhere near advanced enough to replace lawyers in serious legal matters. But they're getting closer by the day. And even simple technologies like online legal forms are undermining some attorney business. How's an attorney supposed to compete when the competition is clad in chrome and capable of processing thousands of documents in the blink of an eye? By being human. "Polish up your human skills." That's the advice that attorneys in the United Kingdom are receiving. Fifty solicitors, members of Vario, the legal resourcing branch of Pinsent Masons, were given a training in emotional intelligence in order to help them stay competitive, the Telegraph reported in May. The training covered everything from creating a good first impression to developing a personal brand. Cognitive computing and machine learning were not covered. "We're in an almost futuristic age," Vario's director, Matthew Kay, told the Telegraph. 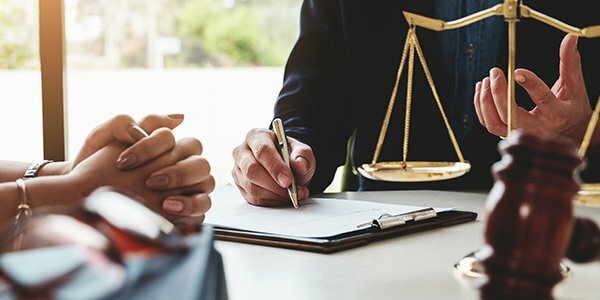 "Forming close and meaningful relationships with clients has always been hugely important in the legal sector, but with the rise of artificial intelligence and robots carrying out tasks in law firms, it will become more vital than ever for firms to ensure all their lawyers sharpen their own emotional intelligence." Vario isn't alone in looking to interpersonal skills and emotional intelligence as the antidote to increased legal automation. Richard Seabrook, of the AI company Neota Logic, emphasized that emotional training was becoming an increasingly important legal skill. "Whilst we have proven that technology is capable of reproducing some of the logic and legal reasoning that lawyers perform, it will be a long time - if ever - before it replaces the softer side, the empathetic side of what lawyers do," he told the Telegraph. After all, a computer program might be able to create a generation-skipping trust, help a company transfer assets overseas, or file your divorce claims. But they can't empathize with clients, form lasting relationships, or inspire trust and loyalty. Sure, lawyers aren't known for being touchy feely. But we're better at it than robots.